Bar Menu: Monday - Friday 2:00pm - 5:30pm, Saturday and Sunday 2:30pm- 5:30pm. Waterbar is a seafood-centric restaurant located on the waterfront with spectacular panoramic views of the bay and city skyline, exceptional design, and a menu of the freshest sustainable fish and seafood. 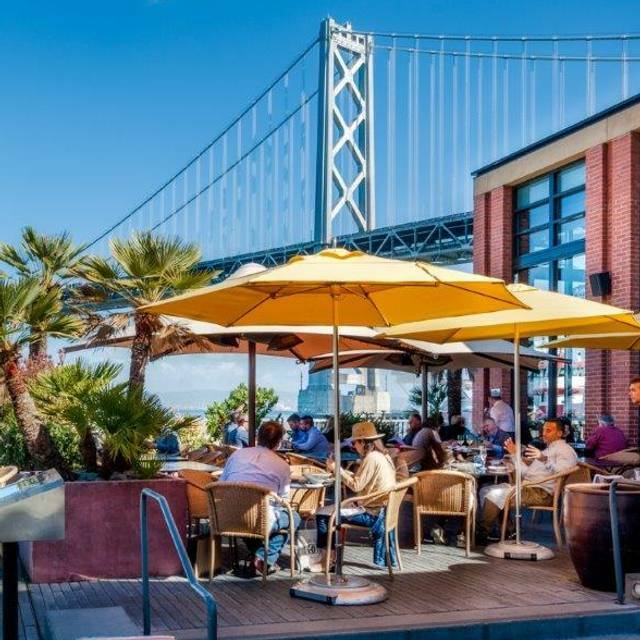 Featuring stunning outdoor (dog-friendly) dining on the waterfront patio, a relaxed atmosphere and floor-to-ceiling circular aquariums filled with an eye-catching array of fish and marine life from the Pacific Ocean. Waterbar is not to be missed. 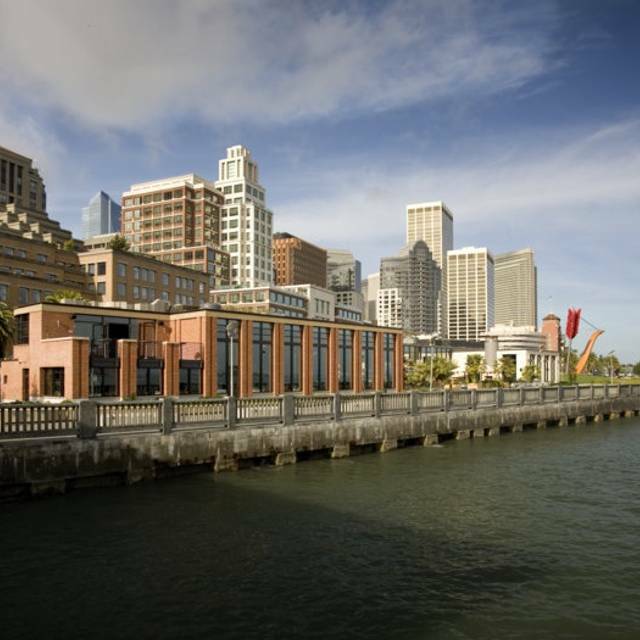 For Mother's Day, Waterbar will offer a 3-course prix-fixe brunch menu for $55 per person. Multiple choices will be offered in each course. Our a la carte menu will only be available during dinner service. Outstanding. Cesar was amazing, as well as the Sommelier and the rest of the staff. Everything was perfect. Thank you Waterbar, we’ll be back!! Amazing experience at Waterbar! The staff was absolutely wonderful; so kind and attentive. The food was delicious and the views were spectacular!! I will definitely be returning when I’m back in the Bay Area. Excellent fresh fish! Right on the waterfront, other than the bridge noise, an excellent dining experience. 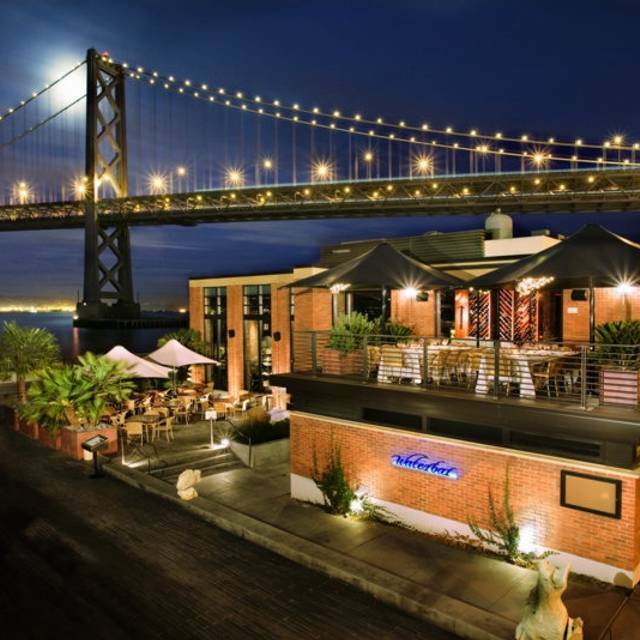 Consistently Excellent.....Waterbar is unquestionably a San Francisco Waterfront Iconic restaurant. The Views of the Bay, Bridge, Boats and Island are stunning. Often with a backdrop as magnificent as this, longstanding restaurants fade with their service and food quality experience. Not here! 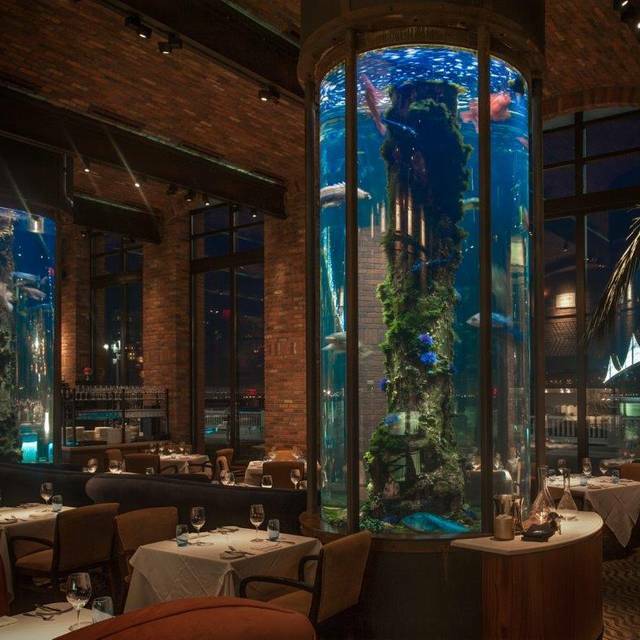 Waterbar continues to be excellent in their entire presentation and food service offering. 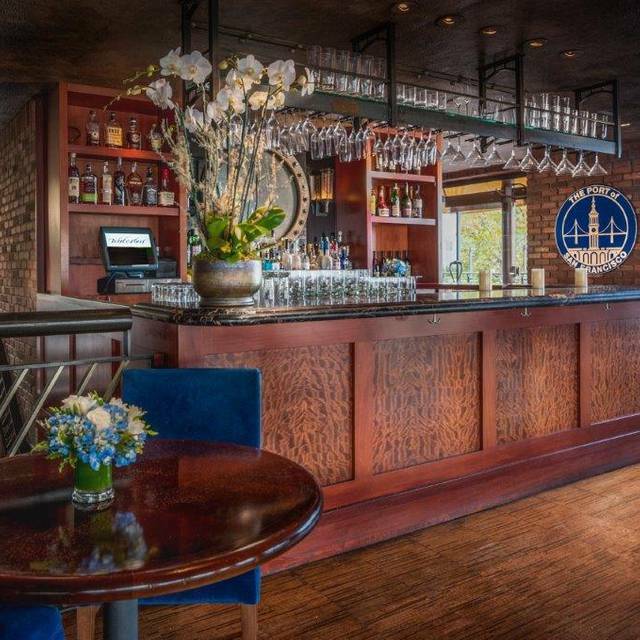 Business clients and friends are always thrilled with a visit to Waterbar. My recent experience was again, Five 5 Star. The service was outstanding! Precious knew exactly how to romance each dish and we were not disappointed. The ambiance was stunning from the spectacular fish tanks and dancing lights on the bay bridge. We had an absolute amazing dining experience at Waterbar! It met every single one of our expectations for the evening! The service and food was amazing! Thank you! 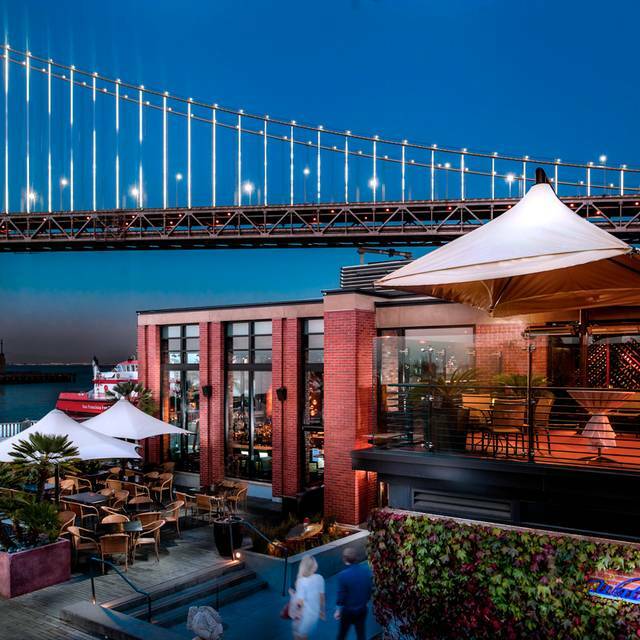 Waterbar is our go-to place to dine in SF. Love it!!! We enjoyed a beautiful brunch on Easter. We were seated early, the service was spot on, the food was delicious and lots of choices on their Easter menu. Cocktails were a little pricey but you can't beat the view! We made a reservation on the PATIO for Easter brunch. We arrived 30 min early checked in and sat in the bar. I checked with the hostess multiple times after of reservation time had passed to check the availability of our table. Each time she tells me that people are lingering because it’s a nice day. Nevertheless I see others walk up and be seated in the patio area. Eventually she comes for us and tries to give us an indoor table. I remind her we reserved a patio table. Back to waiting 50 min past our reservation time she tells us that there is seating on the upper deck which we accept. It is hot and stuffy up there and has a clear view of the patio. I see them seating more groups after ushering is upstairs. What was it about us that we didn’t deserve the patio even though we reserved it? I won’t come here again. By the time we were seated they were out of many of the featured items. Notable changes in the way Waterbar greets you at hostess table to the service, the food service, leaving no services unturned was truly exceptional. If I didn’t know any better they are trying to get a Michelin Star. Good for them. Water bar is one if the city favorite no matter what they’re going after. My guests felt the service was very cold as the server didn’t have any interest in serving them. The food took a long time. Excellent service. Good food. Thoroughly enjoyable evening. The view is the only thing good about Waterbar. The service was mediocre, the menu options didn't provide much selection and the tuna that I ordered was bland. If you are a tourist visiting SF and this was the only place you could visit, then fine. Otherwise, save your money and find somewhere else. Arrived to find we were seated next to a huge party of 12 people, which was going to make conversation with our dinner companions extremely difficult. We asked to be moved if possible, and were immediately shown to a nice booth with a beautiful view in the main dining area. Our server, Cesar, was fantastic. He gave expert advice on what to order for our party of four and was helpful but not hovering. We ordered the branzino and the seafood platter to share, as well as salad and asparagus. All were excellent. We would certainly go again if we were looking for a high-end location for a special meal. I was concerned about the reviews on the service but very pleasantly surprised by our Waitress attention. She was professional and courteous and the food was fresh and delicious. I had requested a table with a view of the bridge and the request was accommodated even though the restaurant was busy. Thank you for paying attention to detail. Everything exceeded our expectations. The Maitre'd on arrival was absolutely helpful and charming. My friend is handicapped and needed additional help. The table was fantastic and looked out onto the San Francisco Bay on a glorious day. We ordered the day's special to start with a couple of glasses of Sparkling French Rose - perfect. The waiter was knowledgeable, did not rush us, and thanked us for coming. We chose the tuna with a side order of Brussel sprouts with melon - both dishes we would order again. Thank you Waterbar for an exceptional experience. We will be back! IT TOOK FORVER TO GET OUR FOOD. SERVICE IS A BIT SLOW. Took out of town guests for lunch. We all had a great meal with attentive service and a beautiful setting. Me and a friend of mine were recommended to this restaurant we live Buy Santa Barbara but we thought we would go for a nice fish dinner. She got the sea bass I got the halibut. Her Seabass had a over half of it was a bloodline, served over ravioli that was absolutely hard as rocks. We did tell the waitress who in turn told the chef and they did replace it with another dish full. My halibut was the smallest piece I've ever had served with three pieces of asparagus over purple grits. The flavor was good but for the price it was totally not worth it. I'm 70 years old have worked hard for my money and I will not be returning. 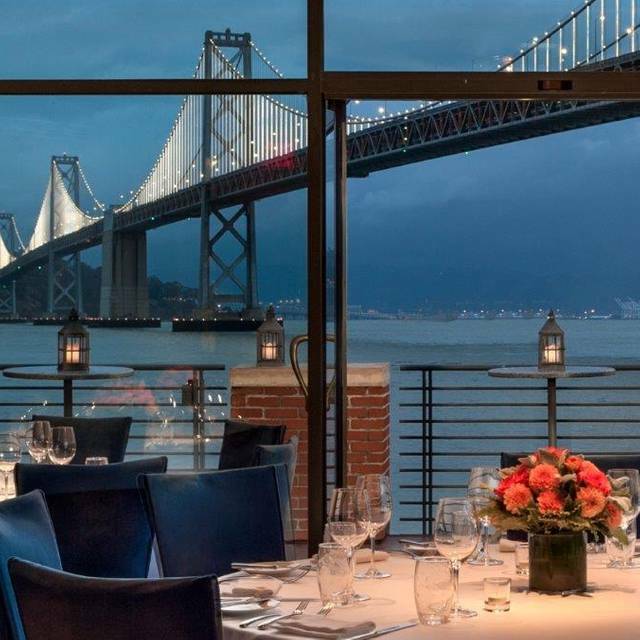 We had a beautiful table with a perfect view of the Bay bridge. Our waiter was great and the food was delicious. it was so magical when the lights came on the bridge, an only in SF moment! It was a great experience but we did have to ask for bread 4 separate times. Overall amazing place to eat and will definitely go back. Loved sitting on the patio on a perfect day. Food delicious too. 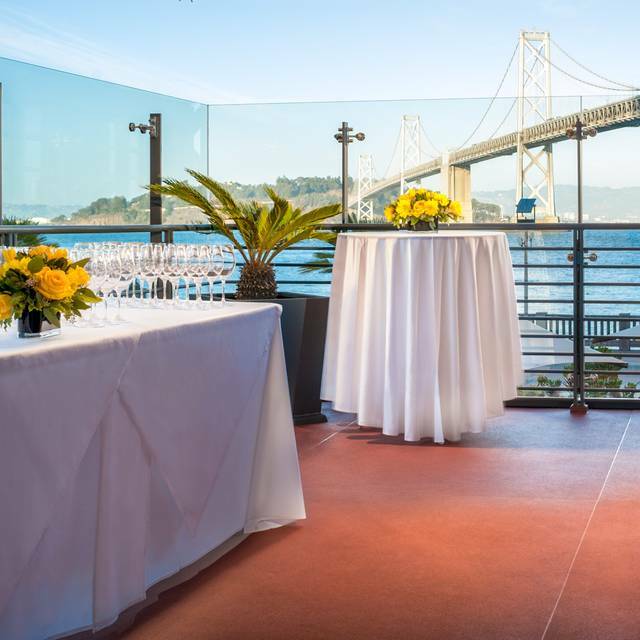 Wonderful dining experience in a spectacular setting overlooking the Bay Bridge and SF Bay. Extensive seafood menu with and extensive oyster menu. This restaurant is for a special night out - it is pricy, but the food, service, and ambiance are excellent. Great food, but our waitress barely made eye contact with us and just kept looking around when she was at our table. Everything I’ve had here is outstanding and they change their menu all the time which is fun. It’s quite pricy but I e never had anything I didn’t like at Waterbar. The customer service is also amazing! Took my Mom for her Biethday and the staff was outstanding and treated my Mom like the Queen she is! Would highly recommend this restaurant. The food was AMAZING!! A little more expensive but beautiful view of the bridge lit up at night. 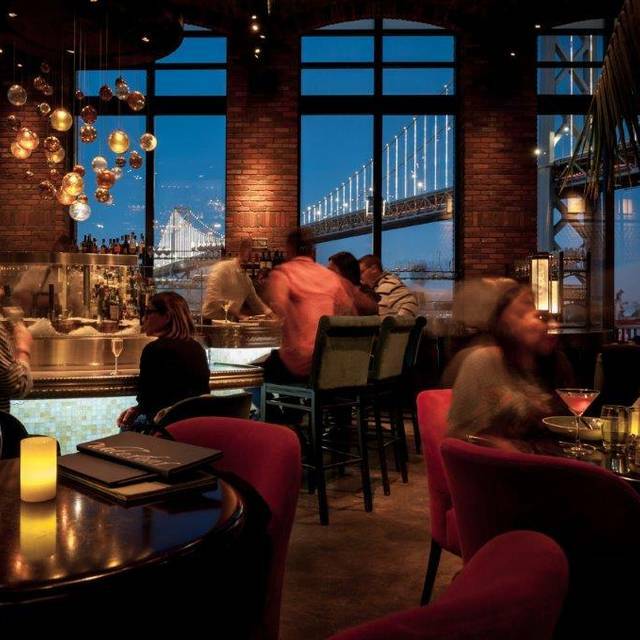 Waterbar is my go-to especially when I have out of town visitors not only for the food and service, the orchestra seats beneath the Bay Bridge make for an unmatched evening. The only change I would welcome is a reduced noise level to better enjoy the conversation.